The process to transform bitter cacao beans into sweet confections is long, involved, and probably more hands-on than you could ever imagine. Chocolate producers have followed the same steps since chocolate was first discovered and will most likely follow them forever. 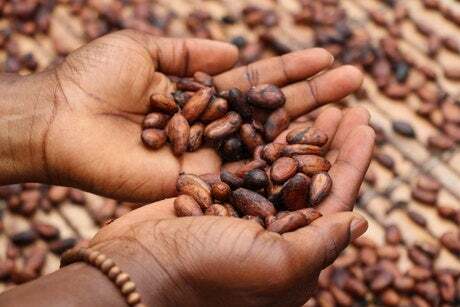 Long before it becomes the sweet treat you can’t wait to pop into your mouth, chocolate starts its life in the form of a cacao bean growing in a pod on a tree called the Theobroma Cacao. These trees can be found in what’s known as the cocoa belt, a narrow band that extends up to 20 degrees of latitude north and south of the equator. In order to produce cacao beans, the cacao tree needs constant warm temperatures all year around. Every Theobroma Cacao tree produces 30-60 pods per year, each of which contains around 40 beans. Since it takes about 500 beans to make one pound of chocolate, that means that each tree only produces 2 to 3 pounds of chocolate per year. Add to that the fact that cacao pods are harvested by hand, and you’ll start to understand why good chocolate is so dear. Although cacao trees can be picked year round, producers tend to only harvest cacao pods twice a year. It’s a delicate business that must be done by hand so that the shoots for future pods aren’t damaged as the ripe ones are cut off the tree. Once the pods, which are roughly the same size and shape a football, have been picked, they’re sorted for quality and then cracked open and split in half. The cacao beans are removed and left to ferment for 8 days to stop the beans from germinating and to let the cacao flavors start to develop. Once fermented, the beans are spread out on tarps to spend a week drying in the sun. In order to make sure that the beans dry evenly, the piles are continually raked and checked. If the beans aren’t allowed to dry enough, they might become moldy. If they’re allowed to dry too much, they’ll become brittle and hard to process. As soon as the cacao beans have dried perfectly, they’re sent off to the processing plant, where they’ll finally begin their journey to become chocolate. First the beans are cleaned to remove debris. Then they’re roasted to darken the color and bring out the flavor characteristics. At that point, the beans are put into a winnowing machine to remove the shells and expose the cocoa nibs. 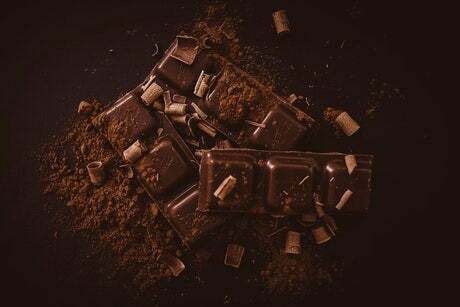 Cocoa nibs are ground down into a paste called chocolate liquor even though it contains no alcohol. That chocolate liquor is then either used as is or processed further to separate out the cocoa butter and the chocolate presscake. Cocoa butter has many uses. It goes into chocolate bars and beauty products. Chocolate presscake is milled into powder to be used for baking cocoa and hot cocoa. 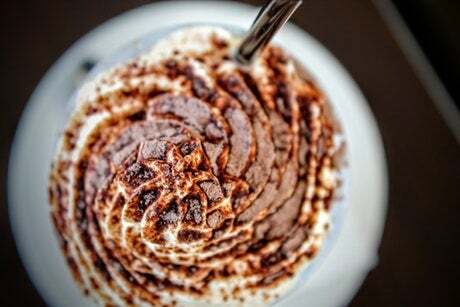 To make eating chocolate, chocolate liquor and cocoa butter are blended with sugar, vanilla, and occasionally milk. Those ingredients are first refined and then ‘conched,’ mixed and aerated at high temperatures to further blend the ingredients. Conching reduces the acidity of the cacao and allows the flavors to develop further. After being conched, the chocolate mixture is tempered by being cooled through slow, stepped decreases in temperature. First the chocolate is cooled, then warmed, cooled, then warmed, cooled, and again warmed until it reaches the correct temperature. 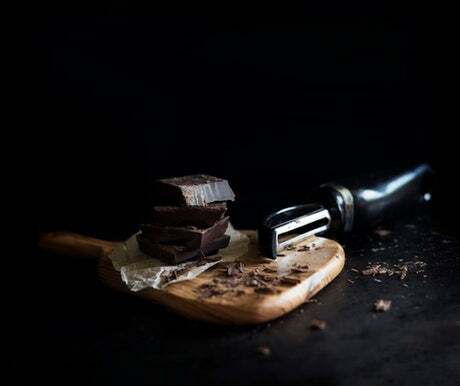 Tempering creates an even crystallization of ingredients and gives chocolate that smooth texture and quintessential ‘snap’ that connoisseurs know and love. Once chocolate has been tempered, other ingredients then can be added before the chocolate is allowed to firm up in molds. From there it’s just a matter of getting the chocolates into the consumer’s hands, and of course, into their mouths.